Ever notice how good you feel after belting out your favorite song in the shower? Not only can music temporarily lift your spirits, but it can also have long-term therapeutic benefits. Music therapy is used to help patients with autism, dementia, Post Traumatic Stress Disorder and a wide range of other disabilities and illnesses. Music is known to tap into various parts of your brain that deal with mood and emotions. This is why music can have a pretty drastic impact on how you feel or cope what difficult situations. Music can make you happy. 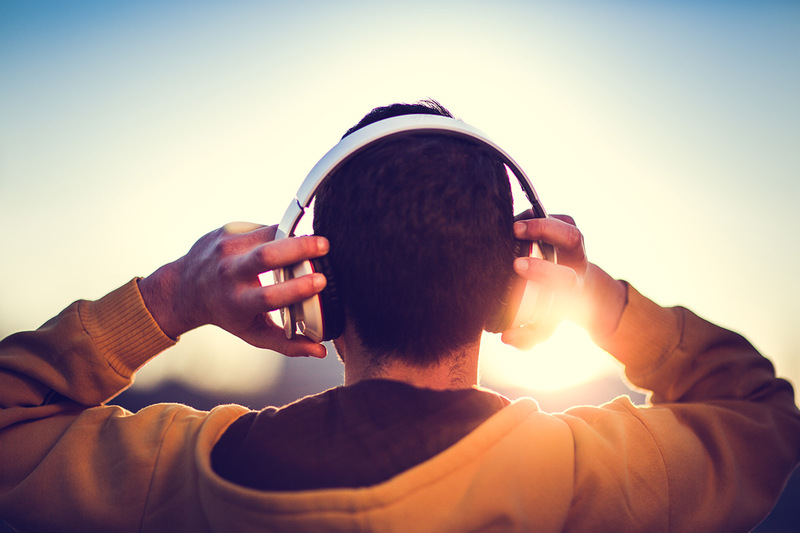 As you listen to upbeat music, your brain will release serotonin and dopamine. These two hormones help your body feel good and foster happiness. Music can help you get motivated. There’s nothing like listening to a good tune to get you motivated. Whether you’re preparing for a workout or need a mental boost, listening to music with positive messages can help you get and stay motivated. You can reduce stress with music. When you find music that speaks to you and soothes your anxieties, you’ll find it’s a great escape when you need to de-stress. Whether it be stress from work or daily life, listening to soothing music can help relax muscle tension and even slow down your breathing. The first step to enjoying the therapeutic effects of music is to find the right tunes for you. Music affects everyone differently and can cause unique reactions in individuals. For example, some may find sad music relaxing, while others may experience negative feelings while listening to the same music. As you search for the right music, keep in mind that you’ll go through some trial and error as you explore different genres. Once you’ve discovered the perfect music, begin building a playlist. This could even be a combination of music, it all depends on your personal preference. You’ll find that many smartphone apps and websites offer custom playlists with recommended music. These are always a safe start to setting up your playlist. Listening to music is great, but you can also choose to create your own music or even sing along. Allowing your body and mind to be immersed in the sounds and lyrics can help you to fully embrace the therapeutic effects. Not only that, but you may find that taking up an instrument or writing lyrics is more relaxing for you. Do you listen to music to relax? Let us know what’s on your playlist by commenting below.